In the summer of 2011, on our way back to our Las Vegas hotel my boys and I were discussing the end of an epic event. No, not the great night that we had just embarked on but the ending of Entourage. See my friends and I grew up on Entourage during our college years. Every girl that Vince had shagged, everyone of Turtle's half-planned schemes to make money, Ari’s epic rants, and every “victory” Drama ever belted we saw it. Entourage would provide good water cooler talk whenever we would convene and join up. You can argue it lacked substance; mostly a show about the adventures of a movie star and his friends but the brotherhood set it apart. It wasn’t about the Hollywood scene for me, but more about the kinship of a tight knit band of friends who survived the riches and the perils of fame. 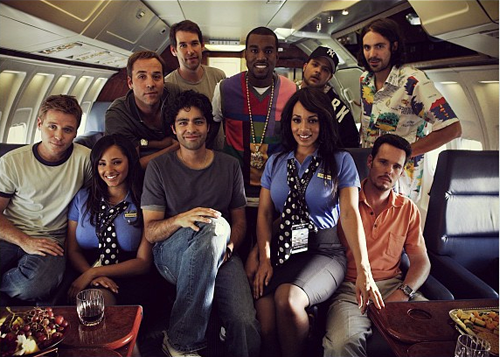 Mostly centered on new comer Vince and his ascension to being a mega movie star Entourage premiered on July 18, 2004. But I caught up with the show in the summer before college in 2007. Enamored with the crew’s wild adventures and the superstar cameos I instantly liked the show. The bond and the loyalty between them kept me interested in the show. Arguably my favorite season was the sixth where you see the storylines branched out to Turtle, Eric (commonly known as E), and Drama. Seeing Turtle have a girlfriend while E played the field was a nice change of pace. The tension of Vince and E would make for great season finale cliffhangers. E doubling as best friend and manager was a gift and a curse. Vince would lose out on movie opportunities (Aquaman 2 notably) to pursue passion projects that earned little money. E redeemed himself as a manager and showed his loyalty as a friend when he landed Vince a starring role in Martin Scorsese’s (fictional) Great Gatsby. Vince’s main goal was making sure his boys had enough and wouldn’t want for more and better yet in the end they actually thrived without him. Turtle’s business venture actually panned out, E finally settled down with Sloan, and even Drama landed a steady role. The series finale served its purpose and the subsequent movie is set to be released soon. Whenever I hang with my “Entourage” and the night is a success I think back to the series and the episode where Vince makes an appearance on Jimmy Kimmel. In the last scene it shows Turtle and Darma saying… “Great night” “Great f***ing night!”.